On September 1, 1939 Dr. Josef Stein wakes up to the front page headline of the Prague Post: “Germany invades Poland! Jews to be relocated.” Did this mean just Polish Jews or all Jews? Dr. Stein, as a Czech Jew, hopes that the decree Hitler signed with President Hácha six months ago would protect him, but he is uncertain. Dr. Stein studied medicine and psychiatry and now he is in charge of the Château, a mental hospital. He is under the protection of Prague’s Police Captain, David Skála, because of his work with the police department and his friendship with David. Now, Dr. Stein feels that time is against him. He searches for answers about the nature of the soul. When his young son died in his arms after an epileptic seizure, “Stein thought he saw his son’s soul take its leave. He was certain he saw a luminous vapor of some sort, ascending from his son’s body. It was the something he couldn’t explain. He would never forget that experience, for it had changed him forever. From then on, he wanted to learn about the body, to understand the soul, so that he could one day find his son’s. But he would never admit that to anyone.” He is still trying to find answers, but will the Gestapo allow his work to continue? Dr. Stein is a rich and complex character who hooked me from the very beginning. I could feel his drive to uncover the truth behind the mental illnesses of his patients. I felt his fear every time the Gestapo stops him. And I believed in his theory that Magdalena, the Guardian of Unwanted Children, is real, that somehow a women named Magdalena who had died in the year 1002, is still looking after children who are in distress, taking their souls to a better place. The pacing in this novel is excellent and by the end, I was totally immersed in this world, watching in horror as the Gestapo has its way against helpless victims. I felt that the historical information is accurate as well as vivid. The supernatural events are spine-tingling. 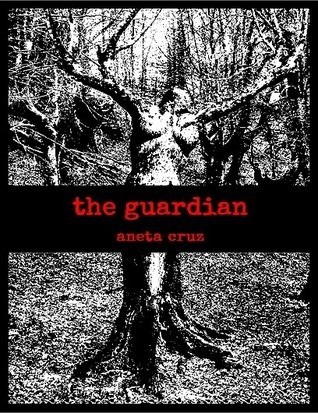 If you enjoy an historical mystery with a supernatural element, then be sure to check out The Guardian. It is one you won’t want to miss.